The Joyetech BFL Kth DL Head is especially designed for UNIMAX 22/25 Tank. It is perfect for direct-lung (DL) inhales. 5pcs/pack. • 1 x Joyetech BFXL Kth DL Head 5pcs/pack. 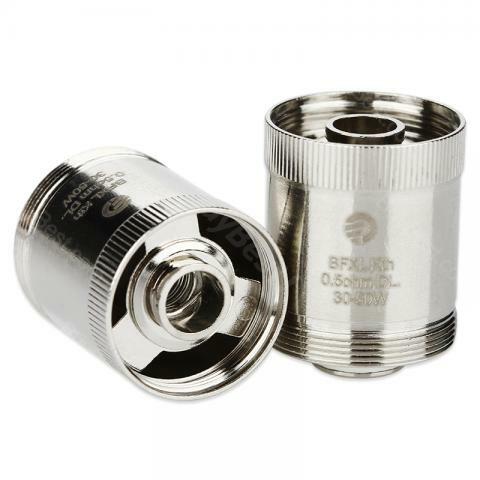 • It is com[atible with Joyetech UNIMAX 22/25 Tank. I order the third time from this seller. Everything suits: quality, delivery, packing. All at a high level. Joyetech BFXL Kth DL Head 5pcs/pack. Compatible with UNIMAX 22 Kit/ UNIMAX 25 Kit. With a 0.5ohm resiatance. With a Wattage range of 30 - 50W.